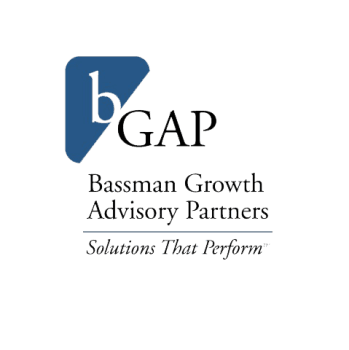 Bassman Growth Advisory Partners is the vision of Bob and Sandy Bassman. Through 25 years of thrilling victory and agonizing defeats as entrepreneurs, they learned that there is absolutely no substitute for the guidance of an experienced mentor. An individual who has been through it all, made the mistakes and discovered the solutions. Someone who can guide you through the process, ensuring your ability to make the best decisions for your business. Track Record – having built Kaye/Bassman into a thriving single location search firm that expertise has been transferred to the coaching world allowing our clients to average a 40%+ increase in revenue year over year. Continuity and Depth – we work on an intimate level with you on a weekly basis, allowing us to constantly make progress and course correct. Dual Threat – you will have the ability to tap into the experience and knowledge base of both Bob Bassman and Sandy Bassman. “$38,500 heading my way on a deal that was dead in the water! I can’t thank you guys enough! In our first session I told you about a current situation that had little to no chance. We spent almost an hour talking through it and I put your advice to use. On Wednesday, same day my son was born, I got a text from the candidate saying he was accepting the position and he is starting on Friday. I look forward to being your loyal pupil for years to come."